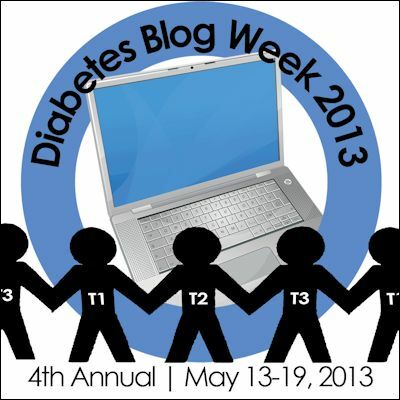 You can find more Diabetes Art posts on the Saturday 5/18 Link List. I’ve always loved Diabetes Art Day. It has challenged me and helped me create things I never could have dreamed I’d come up with. So today, I thought I’d put a bit of a spin on our topic and take a look back at the Diabetes Art I’ve created. The second year I made a necklace. I’m certainly no jewelry designer, but I’m still pretty proud of it. The third year I decided to knit myself a new pancreas. 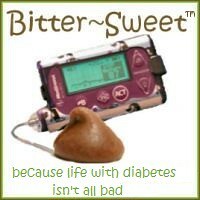 Unfortunately, it worked about as well as my real pancreas. And this year, I channeled the good and the bad of diabetes. But I think my favorite piece of “diabetes art” - the one that makes me smile the most - is the collage I made of my DOC friends. 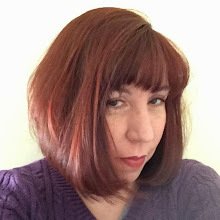 It used to contain everyone I’ve met in real life, but I’m fortunate enough to keep meeting more and more on-line friends, so one day I’m going to need to add some of my latest pictures to it! Great stuff. Not sure if my other comment posted but I thought I would try again. Love the pieces you included here. :) Thanks for sharing. You rock! Creative girl, you!! I love all of those - thanks for the retrospective!